In common folklore, angels are thought of as good forces of nature, hologram images, or illusions. Western iconography sometimes depicts angels as fat cherubic babies or handsome young men or women with a halo surrounding their head. In Islamic doctrine, they are real created beings who will eventually suffer death, but are generally hidden from our senses. The Angel Mikael is in charge of rain and plantation. Munkar and Nakeer question a person in their graves when they die. Israfil (AS) blows the trumpet on the day of Judgement. Angel Izraeel (the angel of death) is in charge of death. He takes away the soul when a Human being dies. After the Holy Prophet (sallal laahu alaihi wasallam) his true Caliph and related Imaam is Hazrat Abu Bakr Siddique (radi Allahu anhu). After him in leadership is Hazrat Umar Farooque (radi Allahu anhu). Hazrat Usman Ghani (radi Allahu anhu) followed him. After him is Hazrat Ali (radi Allahu anhu) followed by Hazrat Imaam Hasan (radi Allahu anhu). These leaders Khilafat is known as “Raashida” or “pious” because these great Sahabis (Companions) gave true representation of the Holy Prophet (sallal laahu alaihi wasallam). The true pious Khilafat as per the traditions of the Holy Prophet (sallal laahu alaihi wasallam) lasted thirty years, meaning it terminated after six months of the true Khilafat performed by Hazrat Imaam Hasan (radi Allahu anhu). Thereafter, the leader of Muslims, Umar bin Abdul Aziz (radi Allahu anhu) performed the pious Khilafat, and Hazrat Imaam Mehdi will perform true Khilafat in the final era. Hazrat Amir Mua’awiya (radi Allahu anhu) was the first king in Islam. After the Prophets, and out of all of Allah’s creations including Jinn, humans and Angels, the most virtuous are Hazrat Abu Bakr Siddique, then Hazrat Umar Farouk, then Hazrat Usman Gani, then Hazrat Ali Bin Ibn Talib (radi Allahu anhum). 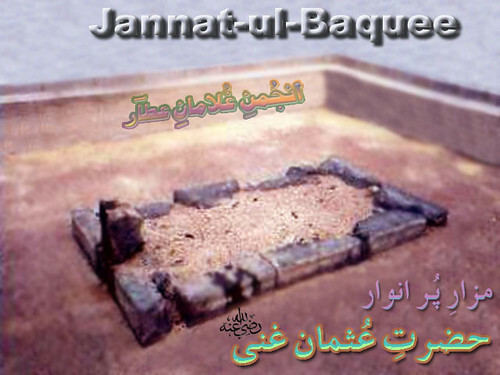 Hazrat Abu Bakr Siddique was a very pious man from the very beginning. He was a rich merchant and even before Islam, he was famous for his honesty, justice and trustworthiness. The Quraish considered him a respected man. He had the most important duties in Makkah as no blood-money could be accepted without his approval. The blood-money itself used to be kept by him. He also used to hate liquor as much as he hated it after accepting Islam. He believed it degrades the dignity of a man. Hazrat Abu Bakr had sincere affection for Rasulallah (s.a.w) from childhood and he was a member of Rasulallah (s.a.w)’s close circle. Hazrat Umar (R.A) belonged to the Adi family of Quraish tribe. In the 8th generation, his lineage joins with Rasulallah (s.a.w). Hazrat Usman (R.A.) belonged to a noble family of Quraish in Makkah. His ancestral lineage joins with that of Rasulallah (s.a.w) in the fifth generation. He was from the Umayyah family of Quraish, which was a well reputed and honourable family of Makkah during the pre-Islamic days. Hazrat Usman (R.A.) was born in 573 A.C. His father’s name was Affan bin Abul-As and he himself was known by the name Usman ibn ‘Affan. 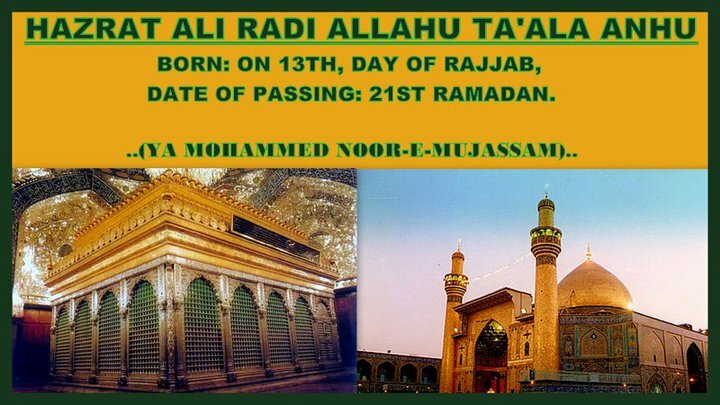 Hazrat Ali (R.A.) was born thirty years after the birth of Rasulallah (s.a.w). He belonged to the most respectable family of Quraish, the Banu Hashim.